This type of heater is used where forced hot air is required through smaller ducts of ovens, dryers, hot air blast, space heating etc. 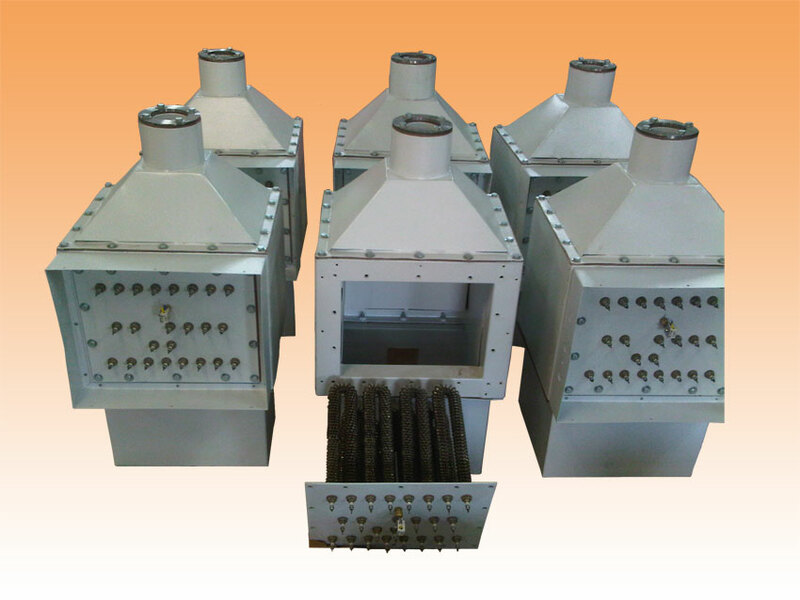 Pairs of tubular (with - w/o finns) heaters are mounted in a chamber with easy to replace facility. Complete with terminal cover on the top or side isolated from the heating zone.